the boo and the boy: Help Me! Isabella was supposed to be having a nap but instead she was playing on her bed. I just finished putting Simon down for his nap when I hear "SOMEBODY HELP ME!" I leave Simon's room and go into Isabella's room and she is upside down wedged in between her bed and her nightstand and she is REALLY STUCK. I giggled and yanked her up onto her bed. Boy was she happy to see me. 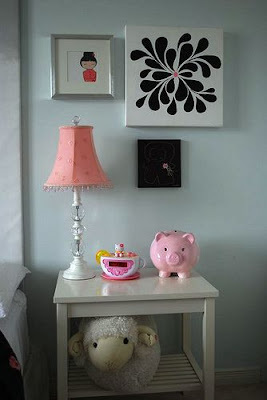 Below is a pic of her nightstand and she was stuck in the small gap to the left of it.